Real estate lead generation websites showcase listings using an IDX connection to the Multiple Listing Service. Visitors become leads when they request listing details via a lead capture form. We examined 12 IDX site-builders and chose the top six—including the best overall—based on price, site creation tools, lead capture options, and customer service. Real Geeks (Best Overall) Agents seeking an easy-to-use website with CRM and managed advertising. Zillow Premier Agent Realtors wanting a free IDX website and CRM for generating Zillow leads. BoomTown Teams seeking IDX websites with lead assignment and follow-up tools. Zurple Agents wanting a customizable IDX website that’s built for them. Chime Agents seeking IDX websites with enhanced search filters, like school districts and neighborhoods. Placester Realtors wanting an affordable, no-frills IDX website for lead generation. While all IDX-enabled websites are designed to capture leads, each real estate agent has different design and functionality needs. To meet these needs, we evaluated the best real estate lead generation websites based on price, IDX integration, lead capture options, advertising, and customer service to determine the best investment for real estate agents. Price: Most of the providers on our list charge per month; we considered those that were reasonable for agents and brokerages alike, without an abundance of add-on costs. 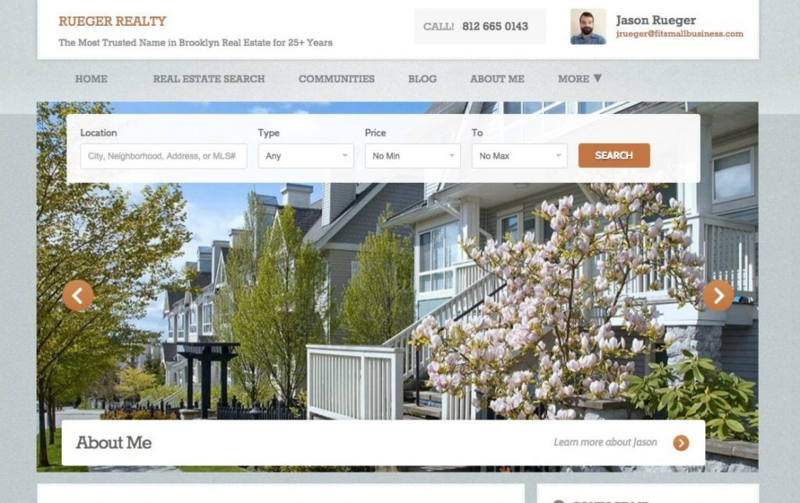 IDX website creation and design: An IDX website should connect to the Multiple Listing Service (MLS) to update listings automatically. It should also be easily editable, using templates and an intuitive editor. These served as baseline considerations in our ranking. Lead capture magnets: Lead capture magnets (reports or tools offered in exchange for buyer and seller contact information) are critical to IDX websites, as they convert site visitors to leads. All list inclusions needed to have built-in lead capture tools and lead magnets. Lead generation and advertising: Real estate lead generation websites should have ad creation built in. 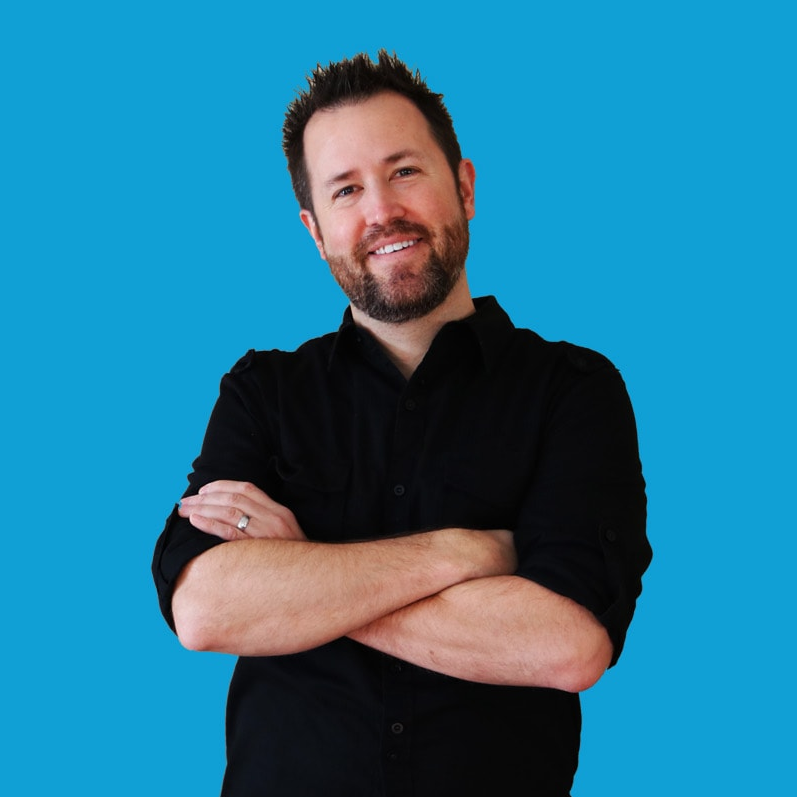 This allows agents to funnel qualified, targeted traffic to their IDX website. We chose tools that run ads on major platforms, like Facebook and Google. Customer service: Sometimes, agents face difficulties getting their IDX websites online. That’s why each inclusion on our list needed at least one customer service channel (phone, email, or online chat). Given these criteria, we recommend Real Geeks as the best overall real estate lead generation website. 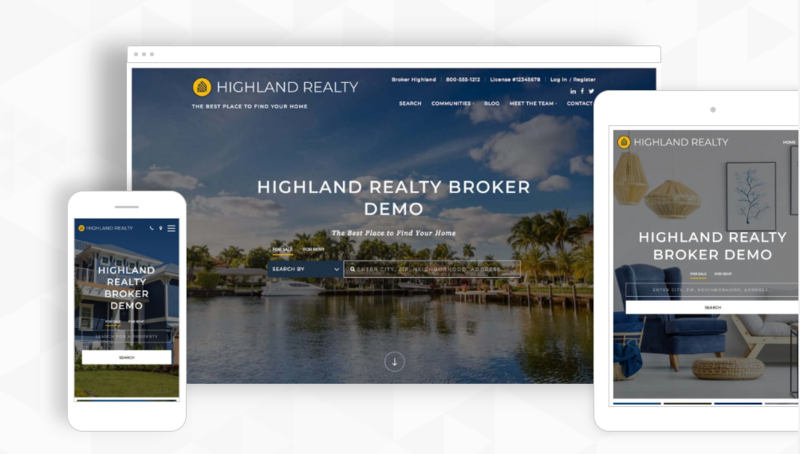 They boast attractive IDX website templates, an easy-to-use editor, effective lead magnets and lead capture forms, managed advertising, and built-in marketing tools to help real estate agents stay connected to leads until they are ready to buy. Real Geeks is a lead generation website and CRM designed for real estate agents. With managed Google and Facebook advertising, an easy-to-use CRM, and intuitive IDX website builder for $199 per month, it meets the needs of many different agents. 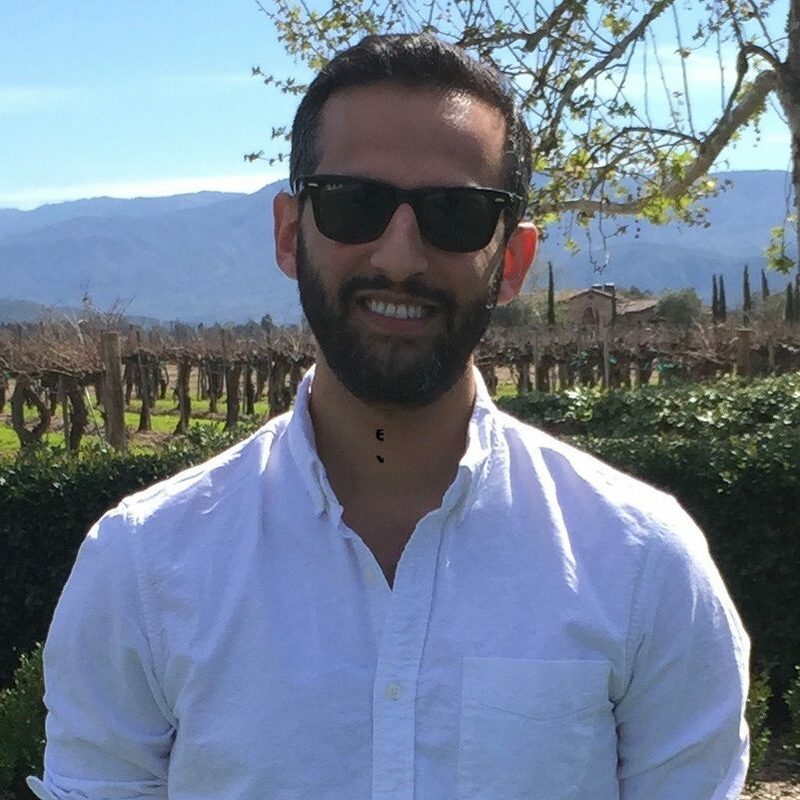 However, given the turnkey offerings, Real Geeks is best for new agents who need an all-in-one tool to build a website, generate leads through digital ad management, and nurture leads until they buy. Real Geeks costs $199 per month for two agents; additional agents cost $25 each. This includes an IDX real estate website with CRM and marketing tools. Real Geeks also offers managed Google Ad and Facebook campaigns for $500 per month with a combined minimum advertising budget of $250 per month. Real Geeks is a complete lead generation solution with easy-to-build, IDX-enabled websites. They offer several templates, each of which is SEO-optimized and mobile-ready to get leads coming in quickly. 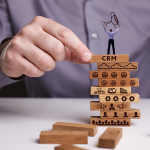 The CRM with marketing tools includes enticing lead capture magnets to help attract leads and engage buyers at all stages of the sales funnel. Real Geeks’ IDX website design templates are well designed. A click-and-point editor allows agents to add elements onto a page and edit them with a few clicks. While most agents will only be interested in text, images, and video, Real Geeks lets users add specialty widgets as well, including lead capture forms, search bars, and buyer and seller lead magnets. Notably, Chime also offers lead magnets. Real Geeks offers two forms of lead generation: Facebook Ads and Google Ads (also known as pay-per-click, or PPC, ads). Both push users to an IDX-enabled landing page that captures visitor contact information with compelling lead capture forms. While Real Geeks can manage ads for you, the platform also offers a Facebook marketing tool that allows users to create and track Facebook ads themselves—a feature not offered by BoomTown or Placester. Real Geeks customer service is available seven days a week from 9 a.m. to 5 p.m. by email, online form, and phone. This is not a unique feature among the inclusions on our list; most offer weekday support via two or three channels. Although the templates for IDX websites are attractive and generally easy to navigate, the editing interface is dated and a bit clunky. For a more modern and streamlined editor, consider using BoomTown or outsourcing site creation to Zurple. Most reviewers report that Real Geeks provides a relatively easy-to-use interface that allows real estate agents to build an IDX website quickly. However, they do note that the interface is outdated and sometimes clunky. Learn more about Real Geeks pricing and reviews. For complete information about the IDX website offerings of Real Geeks, navigate to their website and click on “Watch Demo.” You will find a full list of services and features available, including information about lead generation options, lead magnet inclusions, and CRM details. Click here to get started. Zillow Premier Agent (ZPA) is a lead generation tool that includes a free IDX website and CRM. While agents can claim their listings for free on Zillow.com, paid advertising with ZPA allows them to get premium placement on competitor listings as well. This advertising is moderately priced compared to Zurple or BoomTown at $20 to $60 per lead. Given these features, ZPA is best for real estate agents and brokers seeking leads secured primarily through Zillow.com. Zillow Premier Agent costs between $20 and $60 per lead depending on location, sales value of homes in a given target area, and agent competition. The more competition and the higher the home value, the higher the per-lead cost. The number of leads an agent gets, then, is dependent on per-lead cost and their advertising budget. Zillow Premier Agent is one of the most widely used real estate lead generation tools with a full CRM. Additionally, it includes easy design of custom IDX websites that feature robust search functionality and simple forms for easy agent contact. Zillow Premier Agent provides agents with IDX websites built using easy-to-edit themes with customizable colors and a library of widgets to enhance engagement. These websites are mobile-optimized and fully IDX-integrated to give users an attractive, information-rich browsing experience. When a buyer is interested in a property, they can easily submit their contact information on the property’s listing page for more information. This lead is routed to an agent, who can track the lead in the ZPA CRM. 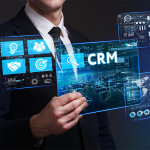 Real Geeks, BoomTown, and Chime all charge for the CRM and IDX website functionality with additional costs for lead generation and advertising. Zillow Premier Agent offers solutions like an IDX website and CRM free and charge for lead generation. ZPA primarily collects leads from Zillow.com and Trulia.com, but can be integrated with Facebook Ads as well. On individual Zillow and Trulia listings, agent profiles are placed next to properties for sale in their farm area to generate leads. Free user profiles will be included with several other agents on their own listings. Paying for advertising ensures agents get exclusive placement on their listings. Also, there is no lead exclusivity like with Zurple. Zillow provides training videos, webinars, and training events easily accessible from the dashboard. With an agent tool kit to you get started—including profile templates, handouts, and scripts—along with a resource blog to provide ongoing information, real estate agents are able to grow their business easily on Zillow. Customer service is available through chat, phone, and email to help resolve problems quickly. 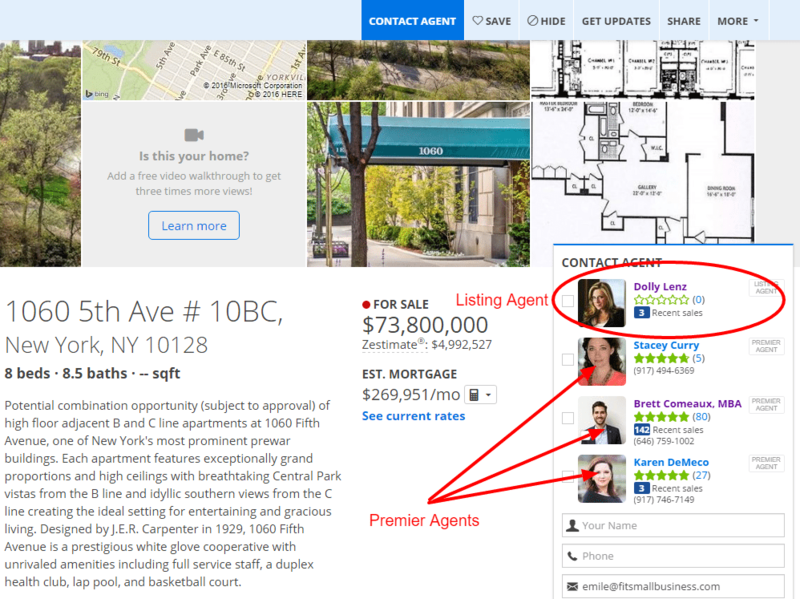 Zillow Premier Agent is missing real exclusivity for lead capture. Zillow is a robust platform with a free CRM and real estate lead generation IDX website creation tools, but it’s important to know that several agents are often featured on a single listing. This means that real estate agents will always be competing with other advertising agents for the same leads. Most reviews noted that Zillow Premier Agent is a great way to increase leads in the sales funnel. 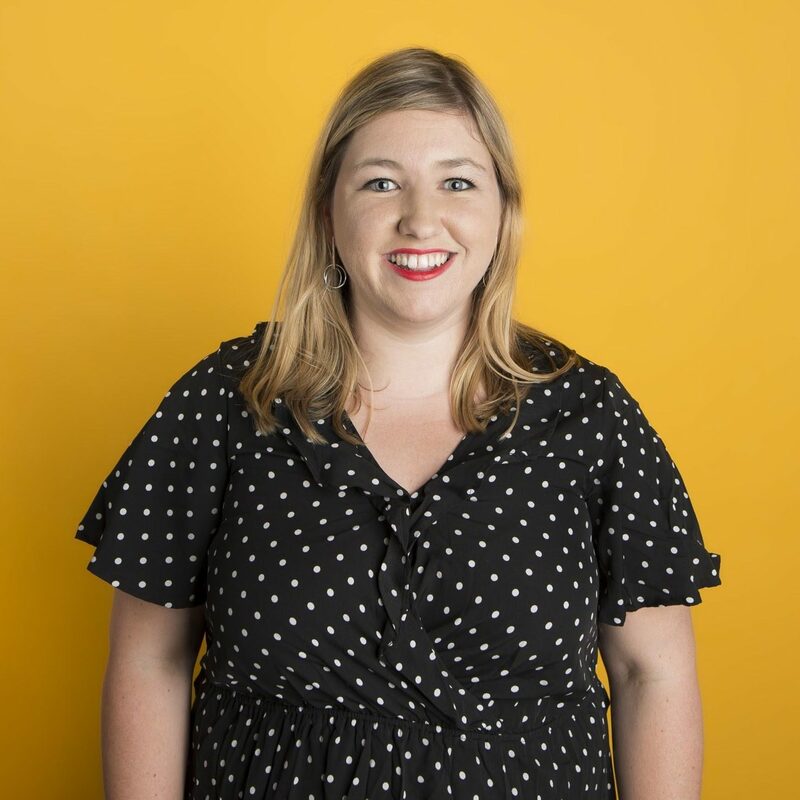 There were some negative comments about the Concierge program—which is a proprietary system that automatically generates responses to questions from leads—because agents would rather speak to leads directly before there is a text or automated call. Learn more about how Zillow Premier Agent works for real estate lead generation. To find out more about the IDX website features of Zillow Premier Agent, navigate to their website and sign up for a free account. Your free account will give you access to the CRM and IDX website creation tools. Click here to get started. BoomTown is an IDX website provider for lead generation designed around teams, starting at $1,000 per month. BoomTown is unique due lead distribution and a shared resource library that allows teams to reuse assets like videos or images. With these features, BoomTown is right for large brokerages and teams wanting to stay connected and collaborate on real estate lead generation. BoomTown entry-level Launch plan starts at $1,000 per month, offering IDX website integration, CRM, and marketing tools for three agents. The Grow plan includes seller magnets and third-party integration for $1,750 per month for 10 agents. The next closest in price was Zurple at $349 per month. Like Placester, BoomTown offers plans with an annual contract. BoomTown’s Launch Plan has a library of marketing assets that can be used on landing pages, prioritized by likely conversion rates. 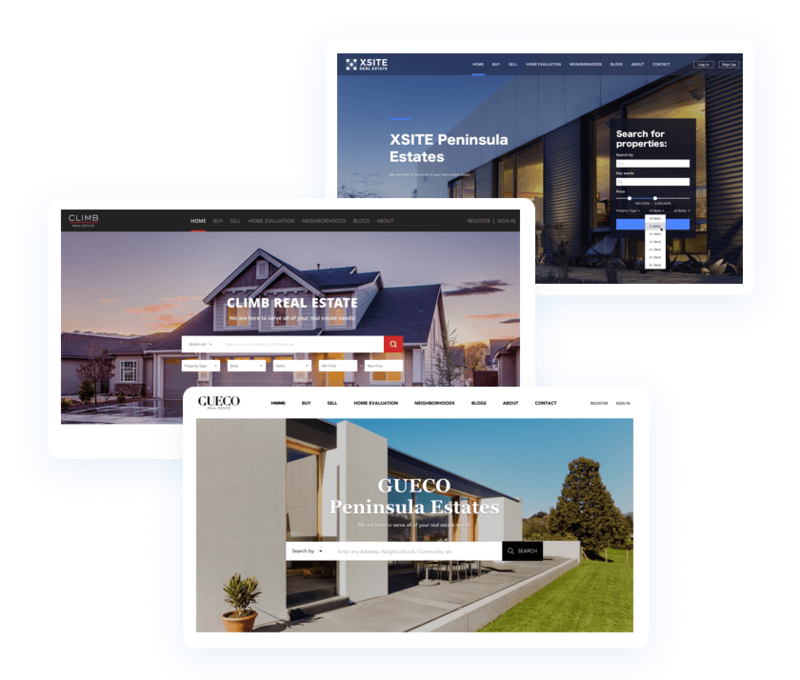 While a number of real estate lead generation IDX websites offer templates, such as Real Geeks, this collection of images, email templates, and videos offers more material and allows for shared use. These can easily be added to templates with a simple click-based editor. BoomTown’s Launch Plan is particularly well-suited for larger brokerages focused on buyers because this plan doesn’t offer any of the seller lead magnets agents would use to secure those kinds of leads. It’s also best for teams that don’t have a lot of existing third-party apps or tools, as integration is not possible on this plan. On the Grow plan, BoomTown offers seller lead magnets to entice people who want to put their property on the market. Once a seller lead enters into the “predictive” CRM, the BoomTown system automatically segments leads into a drip marketing campaign based on lead behavior on the website. Drip marketing is also used for buyer leads; a proprietary algorithm determines what properties are best for leads before sending them additional listing information. BoomTown is right for brokers who want to expand their client base using extra features like seller lead magnets and integration with existing lead generation tools. Chime and Zillow are the only other IDX website real estate lead generation solutions that offer similar features, but BoomTown uniquely offers fine-tuned algorithms to increase conversions from marketing efforts. 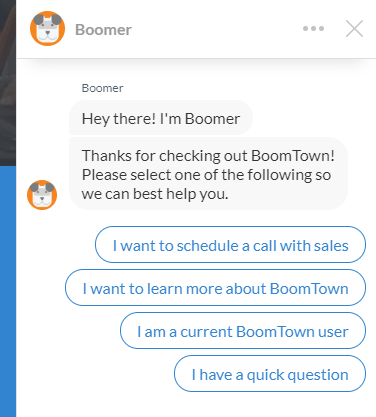 BoomTown is available by email, phone, and online chat. When submitting a question through online chat, you are given a choice of predetermined questions and answers instead of directly connecting you with a representative. This may mean your specific question is not answered in a timely manner. If representative-based customer service is critical for you, then you might want to try Zillow or Placester. Priced at $1,000 or more, BoomTown is missing an affordable package for individual agents. The inability to start with an affordable entry plan and increase on a per-agent basis makes BoomTown the most expensive option on our list. BoomTown users report that the interface is easy to manage and third-party software integrations create a robust feature set. Many users express that the price point is too high for most individual or startup real estate agents. Find out more about BoomTown pricing and reviews. To learn more about the IDX website features and lead generation functions offered by BoomTown, go to their website and watch the demo video or chat live online with a representative. You can also click here to set up an account. Zurple is a real estate lead generation website company that actually builds customized sites for you, starting at $349 per month. They stand out for their comprehensive site design and creation services, instead of merely providing site editing tools that agents use themselves. The Zurple lead generation solution is best for busy or non-technical agents who want experts to build IDX websites for them. Zurple pricing is $349 per site, per month plus a $199 to $499 one-time onboarding fee based on how many pages are created. Additional managed advertising costs range from a minimum of $250 to $450 per month, depending on the platform. Zurple had the second-highest price of any lead generation website on our list. Zurple saves real estate agents time and effort by building websites for them. The SEO-optimized IDX websites, site search, and mobile optimization are completed by Zurple. Conversations by Zurple is the system that auto-responds to new leads, monitors user behavior for patterns, and sends agents alerts to engage with buyers. Zurple is the only real estate lead generation website that designs your IDX website for you. With your input, Zurple creates branded IDX websites designed to target your farm area and achieve your lead generation goals. This approach ensures that agents get the right IDX website design without spending time creating it themselves. Zurple provides agents with a branded IDX website with lead capture magnets to attract leads. You can also request landing pages to target different niche markets. These individual pages can target neighborhoods, buyers, or sellers. Like Zillow, Real Geeks, and Chime, Zurple offers managed search engine advertising through Google Ads and advertising through social media. Because the IDX websites are designed by professionals in the industry, the advertising and lead generation efforts tend to gain more exposure from paid and organic placement. Once captured, leads can then be contacted with mass email campaigns from the Zurple platform. Zurple offers customer service through phone and email. The usual operating hours are between 7 a.m. and 4 p.m. daily. As Zurple handles all setup and management of campaigns, the probability is low that there will be problems with your website. The biggest thing missing from Zurple is the ability to build exactly what you want for your realty business. Because Zurple builds your website, there might be quite a few rounds of feedback before you are happy with your website—and it likely still won’t be exactly what you envisioned. If personalization to get the results you want are important, then Real Geeks or Placester are probably better choices. Users love the ability to send mass emails to buyers and sellers. The negative feedback touches on the lack of customization in email templates and the poor response time of customer service. Learn more about Zurple pricing and reviews. If you want to find out more about Zurple IDX websites with Conversations, then visit their website and click on “How It Works.” You can also request a demo to learn everything you need to know and make an informed decision. Chime is a real estate IDX website builder starting at $316 that includes advanced site search filters to increase lead capture. Enhanced search features in their IDX websites allow visitors to find a property using filters like neighborhoods and school districts. Additionally, “pocket pages” with advanced search can address niche markets and neighborhoods. This kind of robust search functionality makes Chime best for real estate agents showcasing desirable neighborhood features via site search. Packages start at $316 for the Professional plan that includes basic features. Upgrade to the Accelerator plan for $475 to add email, reporting, and lead distribution tools with full customer service. Managed advertising costs an additional $150 to $500 plus a 15% management fee. Lead generation: For an extra fee, Chime manages social media ad campaigns that route visitor traffic to your IDX website. There is a 15% management fee and $500 minimum advertising budget with the Professional or Accelerator plan. 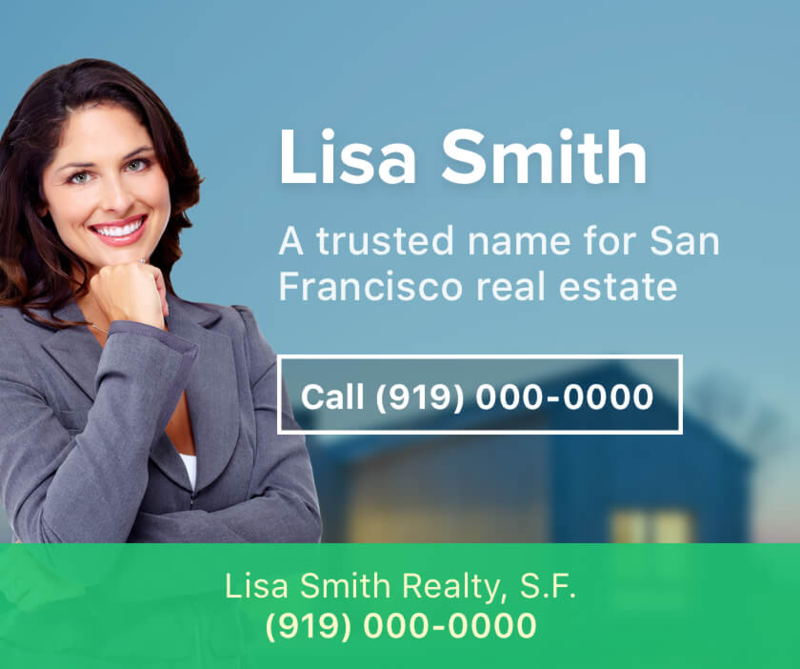 Branding ads: Branding ads run online to help real estate agents stay in front of their leads in their farm area or sphere. There is a 15% management fee and $150 minimum advertising budget with the Professional or Accelerator plan. Chime Professional plan includes features like multiple agent accounts, lead magnets, advanced neighborhood search through pocket pages, email marketing, and a CRM. The Professional plan includes IDX subdomains—or landing pages—and “just sold” listings to showcase agent successes. Site building is easy, as the editor mirrors the look and feel of a WordPress site with click and menu-based editing. Chime Professional Plan is ideal for more established brokers who want a customized website, but already have email marketing tools in place. If you are an early-stage broker and want a turnkey website and email solution, consider Real Geeks, Placester, or Zurple. The transaction reporting features in the Accelerator plan allow you to create workflows, manage files, and complete basic accounting tasks in the CRM. A broker can also access the closing data, revenue, and other metrics of the entire firm with the Accelerator plan. The addition of email marketing and lead distribution make it easy to stay connected with leads. 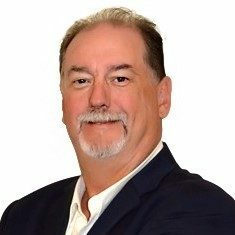 The Accelerator Plan is right for brokers who need reporting, analytics, and marketing modules to make decisions about expenditures performance—likely larger brokerages with many agents focusing on different niches. With lead distribution tools, brokers can reroute to agents and follow up on sales progress. The Placester Broker Pro package has lead distribution, marketing, and reporting tools for a fraction of the cost of this plan at $199 per month for up to 10 agents. Chime offers customer service through online chat, email, and phone Monday through Friday from 8 a.m. to 5 p.m. Pacific Time. Chime’s chatbot doesn’t automatically route you to a representative. Instead, you are offered three predetermined questions and answers, or you can enter another custom question. Answers to stock questions are fast, but custom questions are pushed to a queue. When tested, online chat was extremely slow in following up with answers to non-automated questions. Chime would benefit from improved customer support response times and better automated lead nurturing. 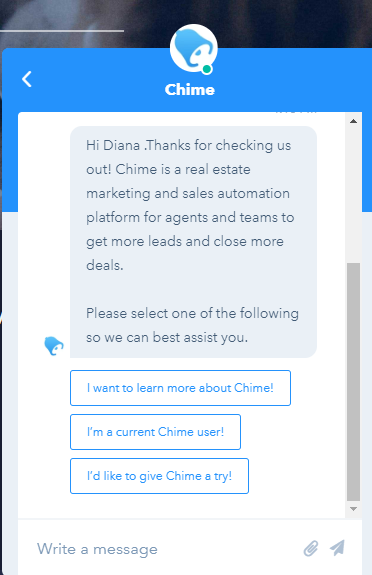 While Chime does offer some lead nurturing functionality, like lead follow-up suggestions and text message scripts, it does not provide the automation of Real Geeks, Zillow, or Zurple. Users responded positively to the ease of onboarding and setup for Chime. There are some glitches and instances of poor customer service reported by reviewers that indicate there’s room for improvement. Find out more about Chime pricing and reviews. To learn more about why Chime stands apart with IDX website features like demographic searchability, click on the button below. There is a blue “Request a Demo” button and online live chat box to help answer all of your questions. Placester is an IDX website solution with basic features. It is the most affordable real estate website on our list; National Association of Realtor (NAR) members can get the tool for $99 per month. It also allows agents to add 10 accounts for an additional $100 per month. Each account includes IDX websites with blogging functionality, a CRM, marketing tools, and lead magnets. This makes it ideal for budget-strapped real estate agents or those launching a brokerage. Placester is an IDX website and CRM solution that costs $99 plus a $99 setup fee for Agent Pro subscribers who are NAR members. Broker Pro accounts include features like lead assignment and routing for teams at $199 per month for up to 10 agents plus a $199 setup fee. 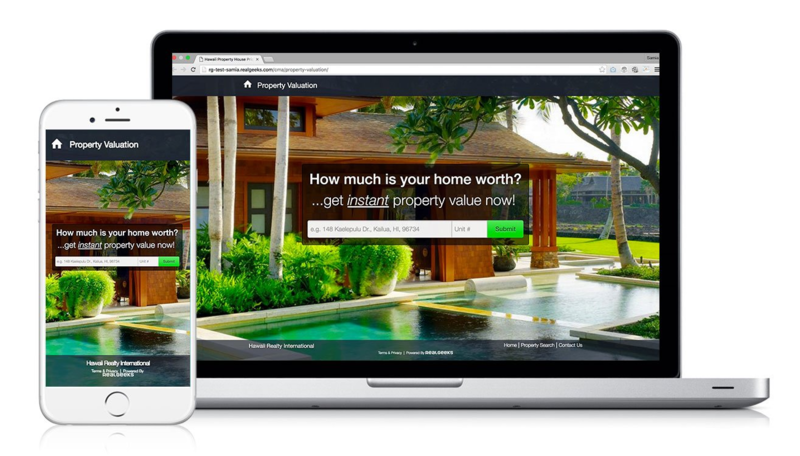 Placester Agent Pro features beautifully designed IDX website templates that are easy to edit and mobile-optimized for optimum browsing on all devices. Placester also offers lead capture magnets for both buyers and sellers, as well as listing search functionality. Uniquely, these websites include blogging functionality for real estate agents who want to attract buyers with expert information. 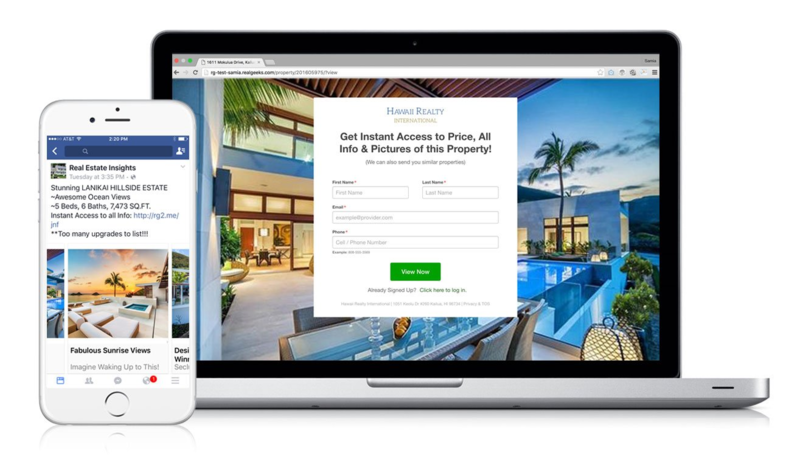 Placester Agent Pro is perfect for NAR members just starting out in real estate who need an affordable IDX website solution with templates to get their brand online. The built-in CRM and email marketing tools round out the Agent Pro package without the expense of Real Geeks. The missing piece is the lead generation functionality and managed advertising offered by Real Geeks, so real estate agents using Placester will need a plan for generating leads. The Placester Broker Pro plan is designed to add the three key features that growing brokerages need at minimal cost: lead distribution tools, reporting, and multiple agent accounts. For NAR members, the increase to $199 per month for Broker Pro is a good deal; the plan includes access for up to 10 agents, lead assignment capabilities, and sales reporting. The Broker Pro plan is ideal for new brokerages that want to provide agents with an IDX website, CRM, and marketing tools without the heavy expense of BoomTown or Chime. Brokers with a lead generation solution in place will find Placester CRM a good way to manage their leads. Placester customer support is available via email, online support tickets, and phone. Placester also offers a blog, podcasts, e-books, videos, and presentations on how to market your real estate business. Placester is missing the services that go above and beyond a basic lead generation website, like advanced marketing tools and lead generation advertising. While they do provide good basic IDX lead generation websites at a fantastic price, the base features may not offer enough for some real estate agents. For more robust options, agents should consider Real Geeks. Reviewers noted that Placester was easy-to-use on both the desktop and the app. Negative reviews indicated that the simplicity of the platform was a problem; there is little ability to customize website templates or alter the design. Find out more about Placester prices and reviews. For details about Placester templates and IDX website, visit them online. You can click on the red “Request Demo” button on their homepage or chat with a representative about their NAR discounts. Visit the Placester website today to get started. Building an IDX website that is both attractive and effectively captures leads is time-consuming. That’s why we reached out to real estate pros for expert guidance on how to make the most of your real estate lead generation website. Have your IDX lead generation [lead capture form] pop up after three to five homepage views. If it pops up after one homepage view, your bounce rate increases. We insert a Facebook pixel into the IDX landing page that the lead is brought to when they click our ad. The key is that both the Facebook ad and the retargeting ad include short videos. It converts like crazy and is better than just throwing darts at the board in hopes of hitting a bullseye. Don’t use a subdomain or be part of another real estate company’s website. When you leave or go out on your own, you will have to start all over again with a new website and lose any rankings you once had. Establishing a repeating dialogue with past clients and industry insiders through monthly emails (and quality content) keeps you relevant and reinforces brand memory. We reach out one to two times a month with content from our website (industry news and such). Past clients are a great source of repeat leads. House hunters are looking to find a place to live within an easy commute from work or local schools. Increase conversions by listing the travel times from their most important locations to your listed properties. For example, which properties are within a 30-minute drive from the downtown area? Create an “About Us” page that highlights your value—not simply talks about your “passion” or hobbies. Highlight what makes you stand out as an agent and a few difficult situations where you’ve helped clients in the past. What is an IDX real estate website? 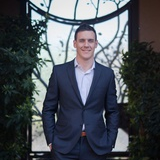 An IDX real estate website is connected to the Multiple Listing Service (MLS) that automatically updates property listings on the site. This ensures the agent or broker doesn’t have to waste time manually updating listings to attract visitors and secure leads. Does an IDX website cost more than other websites? The IDX service does usually cost $60 to $100 extra per month, in addition to website costs. There are annual plans that can save you money over monthly payments, however. Be sure to sign up for an IDX service before assembling your site to ensure you don’t delay site launch. Why are templates important for a real estate IDX website? Templates give real estate agents a head start in designing the best real estate lead generation websites. Because agents are not designers, templates allow them to easily edit websites using intuitive menus or drag-and-drop features. This improves efficiency while ensuring agents get an attractive website. The best real estate lead generation websites with IDX integration allow agents to create a clear online brand presence while attracting leads interested in their listings. The price point, IDX integration, and advertising options are all key criteria in evaluating the best ones for you and your real estate team. With advertising options, lead capture magnets, drip marketing, and CRM for tracking leads through the funnel, Real Geeks stood out as our best overall real estate lead generation website. It’s easy to use and serves as a turnkey marketing solution for most agents. Click here to find out more about Real Geeks IDX website offerings. I used Zurple and it was very costly. They were supposed to screen everything and make sure you didn’t get leads that weren’t worth your time and that did not happen. $600 per month for a supposed “20” leads a month was not true. I received 1 good lead out of the entire 6 months I was with them. Thank goodness that lead paid me back for all the money I spent with them. It definitely wasn’t worth my time. Thank you for sharing your experience with other readers. Feel free to leave additional reviews on our reviews page where you can earn points for sharing your feedback! Thanks for your thoughts on this. Crowsourcing reviews is super important and something that doesn’t happen often enough in real estate. This was very informative, I appreciate it. Glad you found the article helpful and thanks for stopping by. I’m deciding between Commissions Inc & Real Geeks. What are the main differences besides cost? Any help or insight would be cool. I would check online and make a spreadsheet comparing the two products. Also, it couldn’t hurt to set up a call with a sales rep to see if they have any special offers.